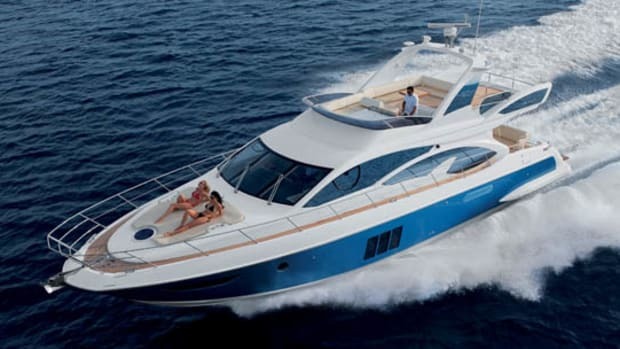 Azimut’s 62S Italia Offers A Refined Layout And Plenty Of Performance. 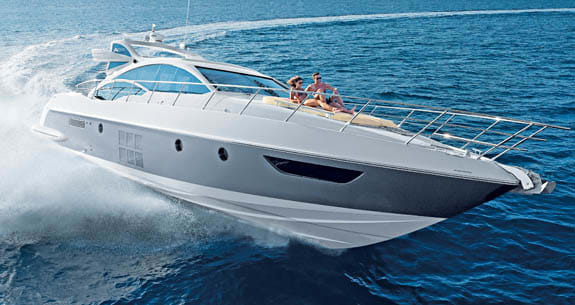 A few clever nips and tucks bring youth back to the Azimut 62S. 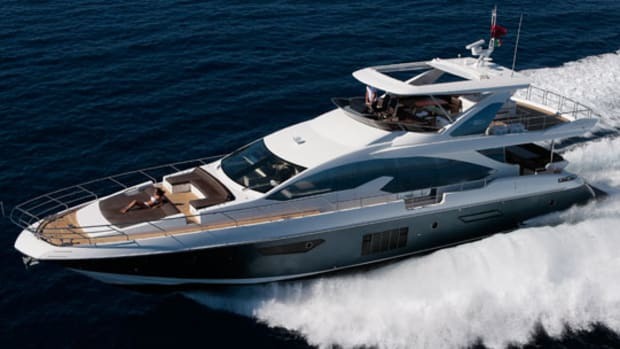 Azimut marked the 150th anniversary of Italian unification in 2011 by relaunching one of its most popular and successful models. Newly dubbed the Italia in honor of the occasion, the 62S reminded us that she blew our socks off when we tested her in her original guise six years ago. She had everything—looks, performance, comfort, and innovation. In fact, she seemed to us to be pretty near perfect. About the only thing we didn’t like was the instrument layout. 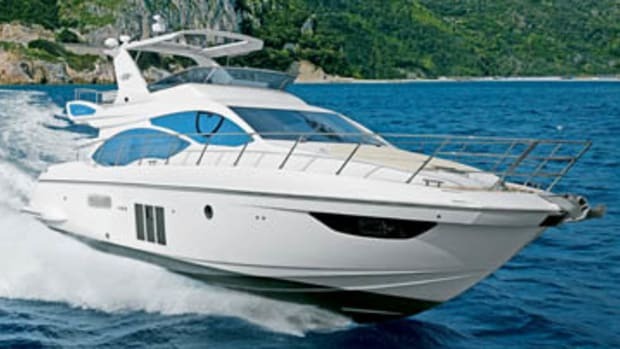 So for Azimut to launch a “new and improved” version is either a very brave or a very foolhardy move. Either way, doing so is a sign of the tricky trading conditions under which all boatbuilders are laboring at the moment. The market craves novelty, yet the design and manufacture of totally new models requires massive investment. 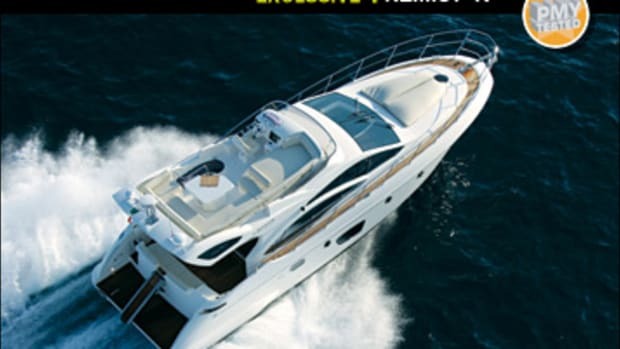 The “mid-life update” has to be the way to go—even if effecting obvious improvements to boats as successful as this one can be a tough task. First things first—the instrument layout is much better. Those impressive but impractical long rows of dials and switches have been replaced by more ergonomically sensible groupings, and the bench alongside the helm seat has morphed into a single, comfortable navigator’s chair. Full marks so far. What else? One feature of the original 62S that really made an impression was the lower saloon area, opposite the galley, with its big sofa and TV. Of course it took up the space of an entire cabin but the area worked so well that we gave it a resounding thumbs-up in our 2006 test report. 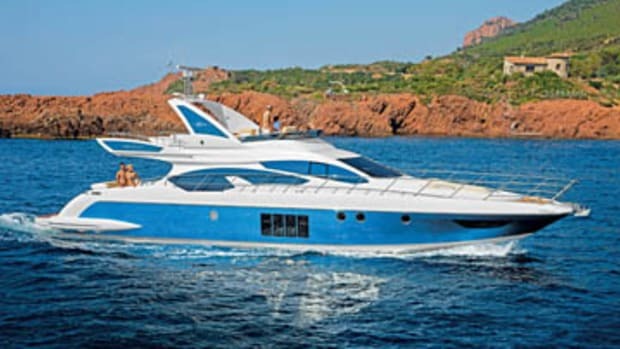 Since then, wiser heads in the Azimut design department have clearly prevailed because this space is now put to much more sensible use as a two-berth guest en suite, which might lack a little in stowage volume but nevertheless has two full-size beds and 6&apos;5" headroom. The VIP suite in the bow, which features generous hull windows and those innovative scissor berths that have since been so widely copied, has not been changed in any fundamental way, and the full-beam master suite, with its huge offset berth, roomy shower and heads, and excellent breakfast dinette, was always a superb example of its type. The Italia’s interior decor has been slightly muted, although its stripey zebrano veneers, pale leathers, and stainless-steel trim still exude great confidence. Up in the saloon the versatile table—folding and electrically operated—can be made to fit the bill whether you’re sitting down to morning coffee or a three-course dinner. There are small but significant changes outside, too. The two-berth crew cabin in the stern is now standard, in place of the small tender garage. The cockpit table can be lowered to seat level to form a large sunpad, and there are now two sets of steps up from the hydraulic aft platform. 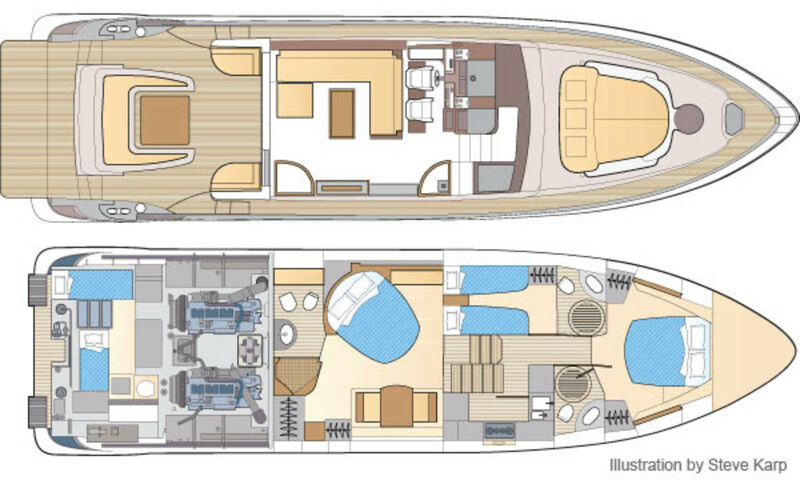 A new bimini emerges from the superstructure overhang on hinged brackets, and the sliding hardtop sunroof—now hydraulic and silent—features curved and UV-filtered glass panels. 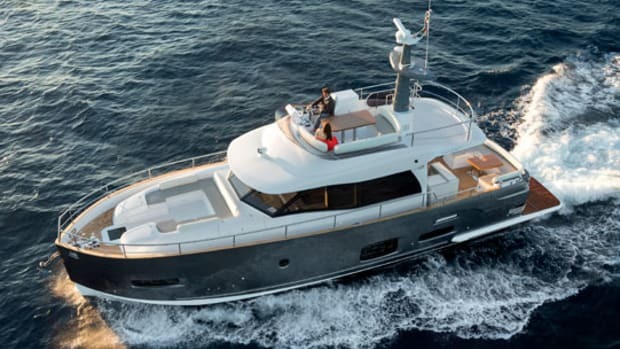 So the Italia can lay claim to quite a long list of changes and improvements, but of course it’s not just the boatbuilders who have been busy in the years since the original 62S was launched. Caterpillar’s six-cylinder C18 ACERT is now pleasure-rated at 1,150 horsepower, which means 135 horsepower more per side. 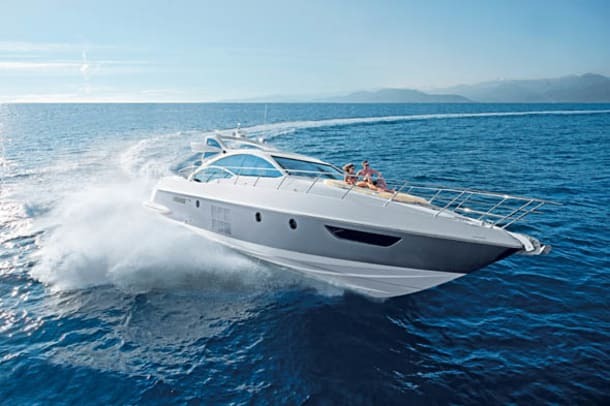 Coupled to smaller-diameter, bigger-pitch, five-blade props this increase in power has allowed Azimut to claim an additional three knots of top speed, and while that proved to be slightly optimistic (we got two), it’s the way the 62S gets there that really impresses. 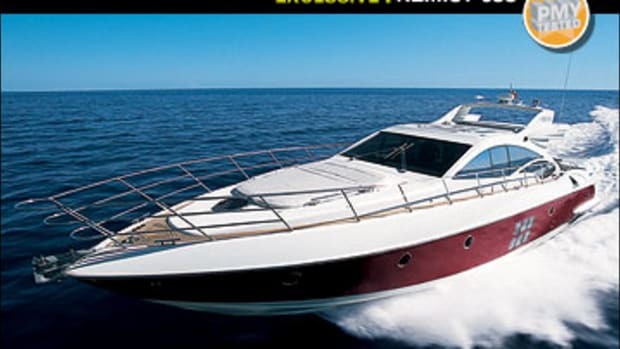 From a standing start to 20 knots (23 mph) in 11 seconds would be startling enough for a cruising boat of this size, but it’s what happens next that really spills the drinks—no sooner has 20 knots gone past on the log than 30 comes up just three seconds later. Maximum speed of 36.2 knots (41.6 mph) is attained in just half a minute. We were fortunate to have some proper seas in which to road-test this revitalized rocket ship, with swells of up to five feet rolling in towards Savona left over from the previous day’s half-gale. 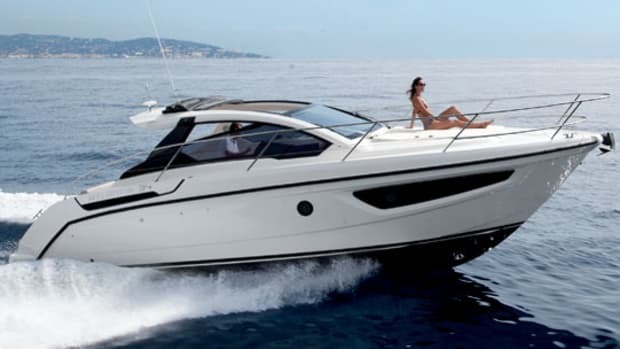 This made what would certainly have been a fun sea trial into a positively exhilarating experience, and the Italia’s tried-and-tested hull, with its 24-degree midships deadrise and excellent balance, was in its element. We tried but we couldn’t trip it up. Back in port after a rewarding session of high-speed runs, plus a certain amount of irresponsible wave jumping, we were given a demonstration by Azimut’s crew of the company’s new Visio docking system, developed by the yard in partnership with video-software specialists. It uses three video cameras to provide a real-time picture of the stern, the quay, and both sides of the boat, with graphical overlays to help the helmsman judge the distances. Used in conjunction with sensible seamanship—because it’s obviously not a safe substitute for the Mark 1 Eyeball—it could nevertheless be a boon for short-handed family crews and solo skippers. It’s not just a cool option but a reminder of the importance of innovation to this shipyard. Never has standing still been a less sensible strategy. 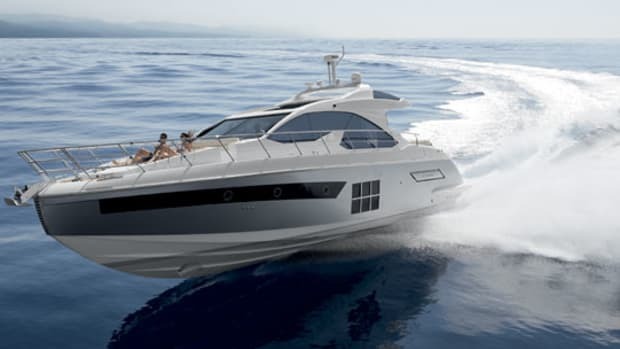 If you’d asked me six years ago for my thoughts on improving the 62S I’d have given you a very short list, but Azimut has shown what can be done if you put your mind to it. A series of changes and improvements to the 62S—some drastic and some seemingly trivial—come together to make the Italia a fundamentally different boat from her predecessor. Personally, I miss that lower saloon, but in these straitened times it was probably felt to be an extravagance. In doing away with it Azimut has effectively turned a two-cabin sports weekender into a much more versatile three-cabin, three-head family cruising machine—and one with some serious sporting credentials. Mid-life update? Upgrade, more like it—from business to first. air temperature: 50ºF; humidity: 55%; seas: 3&apos;-5"
185 gal. fuel, no water, 5 persons, 100 lbs. gear.